If you're on a mission for a casual yet stylish getup, wear a light blue cotton double breasted blazer with an Allen Edmonds cambridge ave leather belt. Both pieces are totally comfortable and will look great paired together. 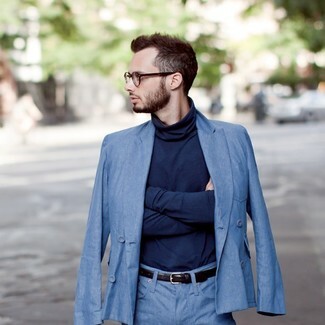 Go for an aquamarine blazer and a dark brown leather belt to be both killer and relaxed. Choose a pair of tobacco suede tassel loafers to kick things up to the next level. A grey wool blazer and an Allen Edmonds dark brown leather belt are a cool combo to keep in your off-duty sartorial arsenal. Complete your ensemble with a pair of navy suede boat shoes to instantly rev up the fashion factor of your look. 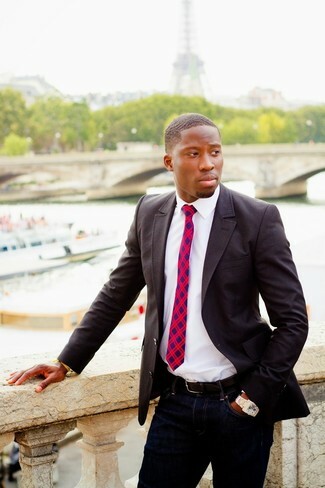 If you're on the hunt for a casual yet dapper outfit, try pairing a black suit with a dark brown leather belt. Both garments are totally comfortable and will look great paired together. Amp up the cool of your getup by completing it with brown leather derby shoes. If you're a fan of relaxed dressing when it comes to fashion, you'll love this simple pairing of an olive overcoat and an Allen Edmonds cambridge ave leather belt. And if you want to instantly kick up the style of your look with one piece, add dark brown leather brogue boots to the mix. If you prefer comfort dressing when it comes to fashion, you'll love this knockout pairing of a charcoal blazer and a dark brown leather belt. 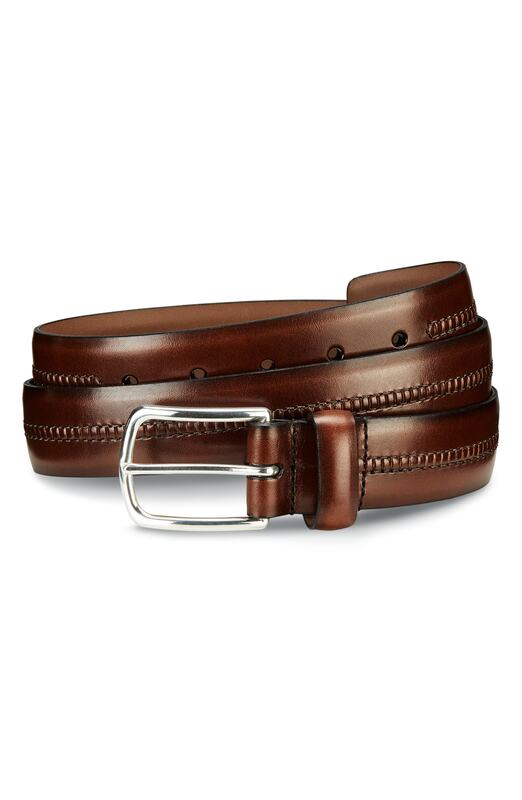 If you're scouting for a casual yet on-trend outfit, consider wearing a brown wool suit and a dark brown leather belt. Both pieces are totally comfortable and will look great paired together. Consider teaming a dark brown shearling jacket with an Allen Edmonds cambridge ave leather belt from Nordstrom if you're searching for an outfit idea for when you want to look casually cool. 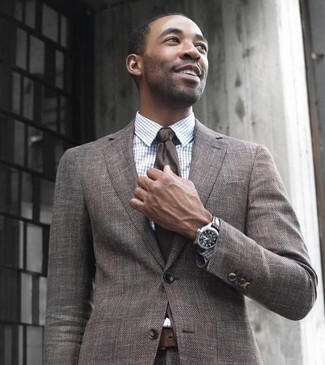 Dress in a brown blazer and an Allen Edmonds cambridge ave leather belt if you're on the lookout for an outfit idea for when you want to look casually cool. 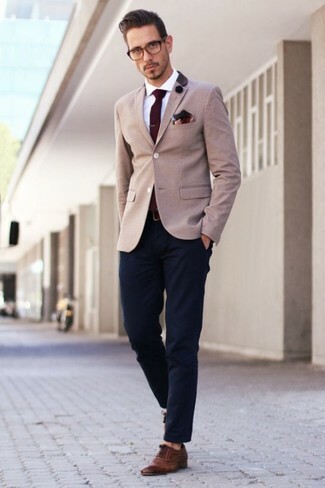 Spruce up this getup with dark brown leather oxford shoes.